UN climate scientists attacked by sceptics after they published an erroneous global warming forecast won support on Monday from European Union environment ministers. Climate scepticism has gathered pace since the UN’s Intergovernmental Panel on Climate Change (IPCC) admitted in January that its latest report in 2007 had exaggerated the pace at which Himalayan glaciers were melting. Last month, it also said it had overstated how much of the Netherlands was prone to sea flooding. The EU ministers said they considered the IPCC’s science “solid and robust” despite the errors, and were convinced it offered the most authoritative assessment of climate change. In their conclusions, the ministers also called for the rapid mobilisation of the $10 billion a year that rich countries have promised to give poor nations to help them tackle climate effects in 2010-2012. The pledge was one of the few elements agreed on during a global climate summit in Copenhagen last December. Many EU countries are scaling back their hopes of a legally binding deal at ministerial climate talks in Cancun, Mexico, in November. 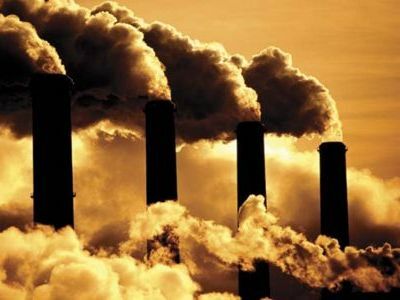 The ministers asked the EU executive to report to them on what it would take for the 27 EU members to deepen their planned cuts in greenhouse gas emissions over the next decade to 30 percent below 1990 levels. They currently plan a 20 percent cut. The impact of the economic slowdown, combined with the large opportunity to buy carbon offsets, means the current EU goal will result in domestic emissions cuts of only around 4 percent below business-as-usual levels, said a report on Monday by the CE Delft consultancy for Green politicians. “We do not need more research — there is a wealth of evidence that underlines why the EU needs to increase its target now,” said Bas Eickhout, a Dutch GreenLeft member of the European Parliament.